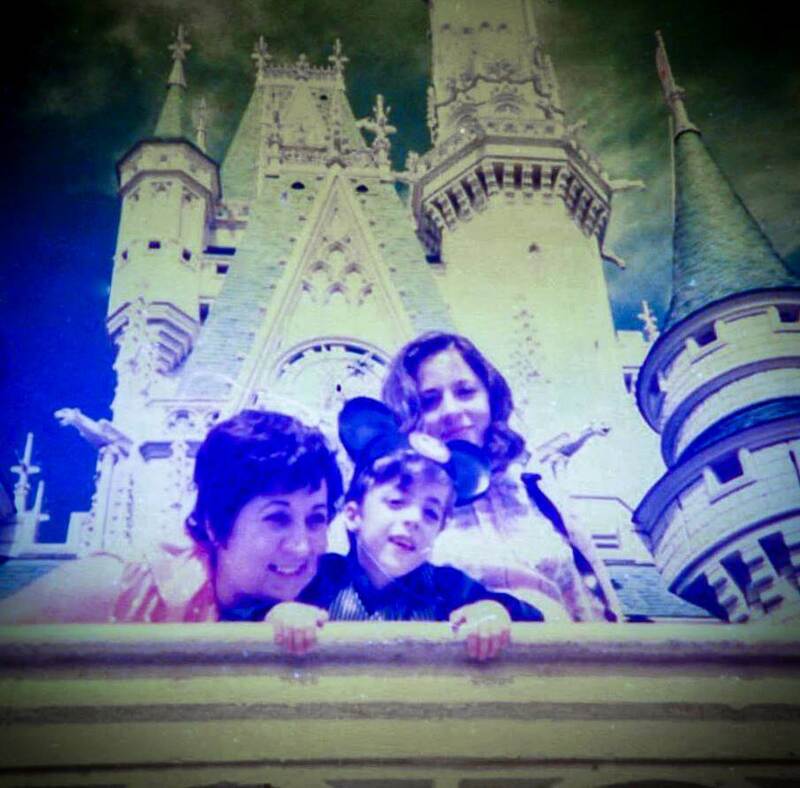 I can remember visiting Walt Disney World for the first time when I was just over 5 years old. The park hadn’t even been open for a year. There was no Space Mountain, Thunder Mountain or Splash Mountain yet. The Nautilus still descended 20,000 leagues under the sea as the skyway cars glided by overhead. 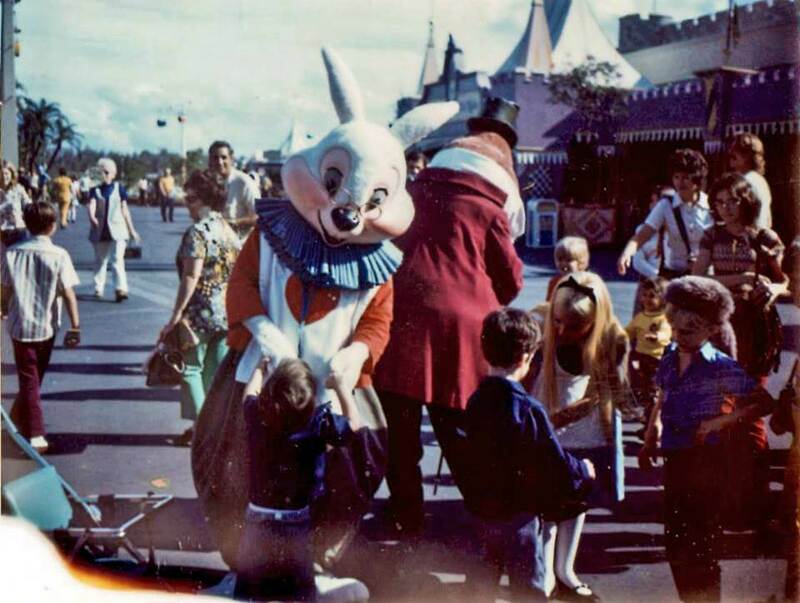 Mr. Toad still had his wild adventures while a Mission to the Moon, Circle Vision 360 and Eastern Airline’s “If You Had Wings” still brought guests to the land of “tomorrow”. . . 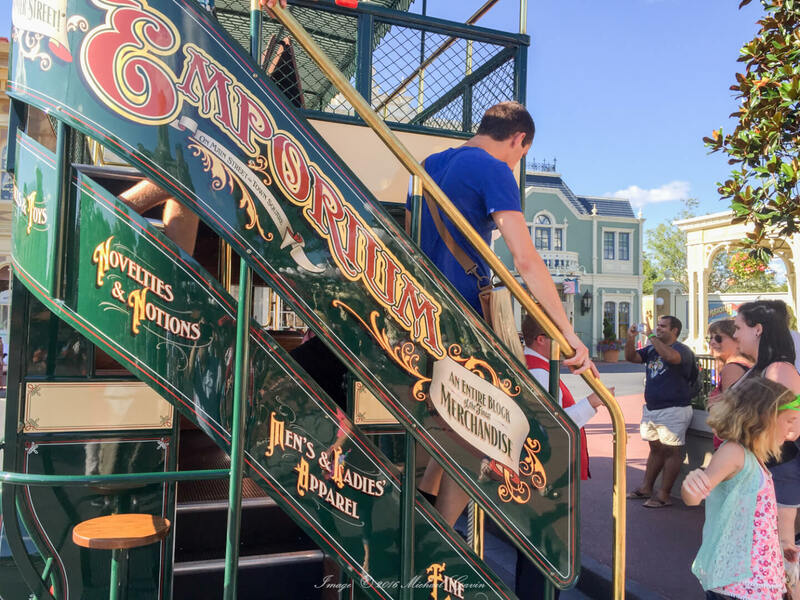 So, when I happened upon the Omnibus as I was walking down Main Street at the end of my day AND it was taking on passengers, childhood called and I HAD to ride! 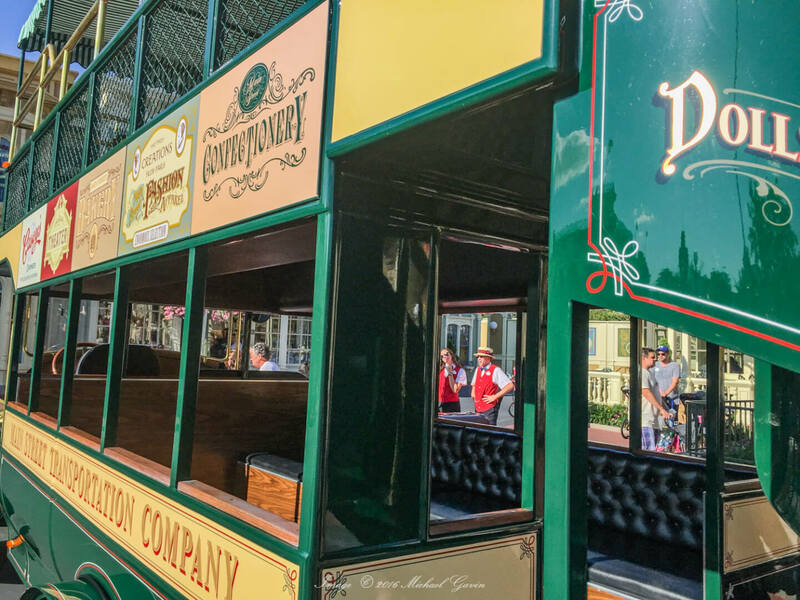 It was a rare treat to see this brightly painted replica of the double-decker bus of the 1920’s at this time of day. 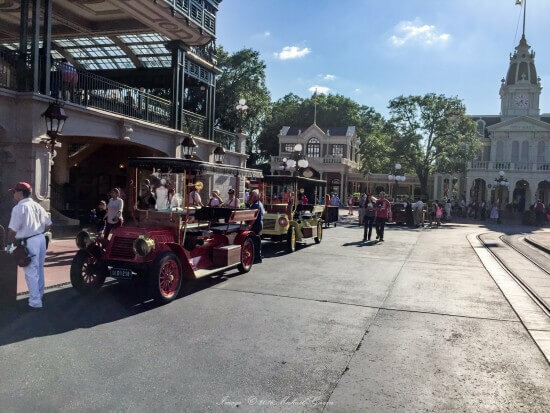 According to the Disney website, the Main Street vehicles only operate from 9 am to 10:15 am daily. Not only was the Omnibus making its round trip to Cinderella’s castle and back to Town Square, but so were the 4 cylinder Jitneys and the fire truck, too. 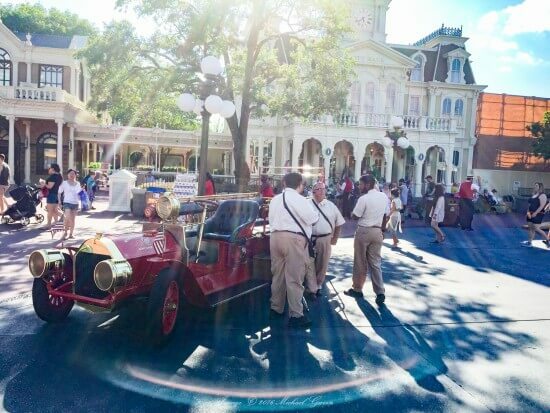 I had not seen these turn of the century automobiles on Main Street in many years (I admit, I rarely make it to the Magic Kingdom before 10 am). The vehicles are one of the many attractions that were present when the park opened. They were the only way to ‘use up’ that A ticket if you didn’t want to ride the carousel. 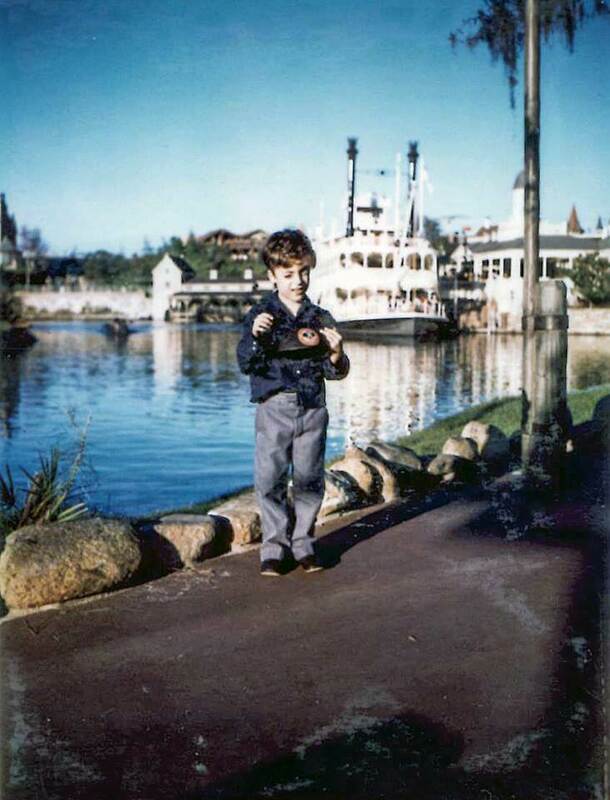 The trip up and down Main Street was just right for ending my visit for that day – a nice leisurely ride to take in the sights AND let the memories of childhood drive the imagination, even if only for a few minutes. 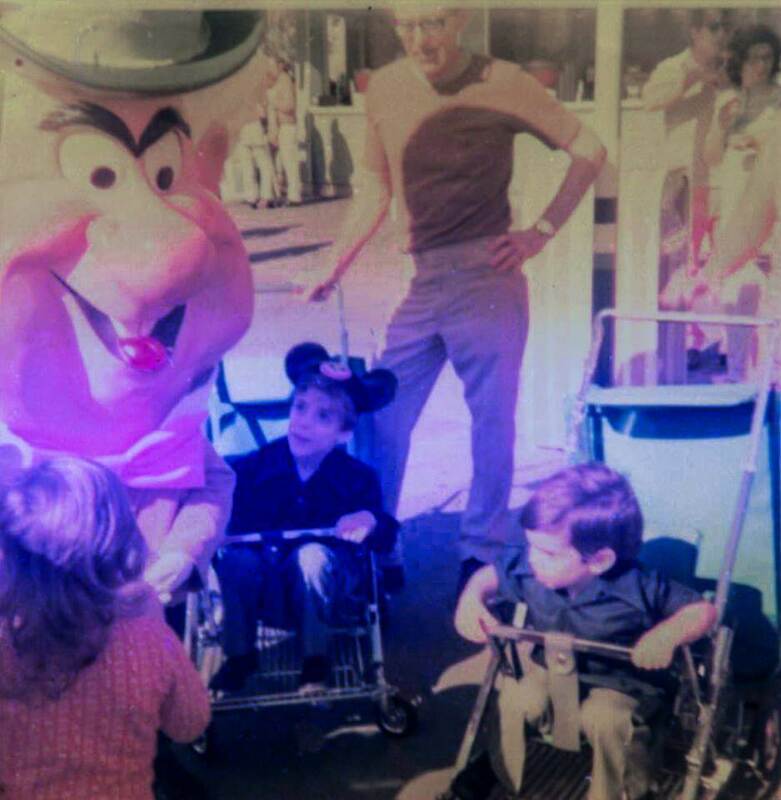 What memories do you have of early Walt Disney World? Please share in the comments below. Full schedule revealed for MASSIVE marathon of every single Disney Channel Original Movie! Would love to visit Walt Disney World. The vehicle looks really interesting. Thanks for sharing such interesting experience. Actually I am planning to have a trip to Main Street on the Omnibus with some of my friends. The outdoor landscapes look amazing. Yeah it would be better sitting on the bus and enjoy the view of the street.